Elyse Berman, PA operates the web site at BuySellHomesBoca Raton.com. We respect the privacy of each user of the Site (referred to as “you” or “a user”), whether you are just beginning your real estate search or have previously visited our Site. This Privacy Statement gives you specific information about how we protect your privacy, how we treat your Personal Information, and how we use aggregated information. BY REGISTERING FOR OR USING THE SITE, YOU SIGNIFY YOUR ACCEPTANCE OF THIS PRIVACY STATEMENT. IF YOU DO NOT AGREE TO THIS PRIVACY STATEMENT, YOU CANNOT USE THE SITE. We reserve the right to modify this Statement at any time by posting a notice on the Site’s home page. (If we consider it appropriate, we may also provide additional notice of significant changes.) Your use of the Site after the date of the last modification listed at the beginning of this Privacy Statement indicates to us that you agree to the changes. The Site contains links to third party websites. When you click on those links, you will go to a third-party site where you will be subject to that site’s Privacy Statement and we encourage you to read that policy statement. Please be aware that we are not responsible for the privacy practices of those other websites and we expressly disclaim liability for their actions, including actions related to the use and disclosure of Personal Information by those third parties. The Site is hosted by servers in the United States and as such, the Site is governed by United States Law. If you are located outside of the United States, your Personal Information will be transferred to the United States. By submitting your Personal Information, you consent to its transfer to the United States and to its storage, processing, and use there in accordance with this Privacy Statement and the United States law. This Privacy Statement applies to your use of this Site only. We do not own, operate or control the web sites of our sales associates. Accordingly, this Statement does not apply to a sales associate’s web site or to a sales associate’s collection, use, storage and disclosure of your Personal Information. Personal Information is information collected online by us that identifies the person to whom such information pertains, including without limitation, name address, telephone number, and e-mail address. 2(a). Personal Information. We collect your Personal Information on the Site in order to enhance the services we offer you. We collect Personal Information from you only when you voluntarily submit it in order to obtain certain services or information, including (A) registrations for special communications, such as saving a search for you and, but only if you request it, sending you new listings that fit the profile of your saved search; (B) requests to find a property, to list your property, and to find a sales associate; (C) requests to contact us; (D) requests to receive periodic industry updates; (E) requests to email a listing to a friend; and (F) inquiries about employment opportunities. We may also use the Personal Information to inform you about other services and products that may be available through us and/or companies with which we have a marketing relationship, and to provide you a customer survey to assess your satisfaction with our services and products. If you submit a request through this Site to find or list a property, you will be asked to provide Personal Information and we refer this information to Elyse Berman PA. For example, if you ask that we list your property or if you ask to see more listings in a given area, you will be directed to Elyse Berman PA or an agent specializing in that area. If you contact us, we collect Personal Information, which is retained depending on the nature of your inquiry. If you are looking for a property or a sales associate, it is referred to the sales manager or sales associate; if your inquiry or complaint requires a response from us, it is referred to the appropriate department for research and a response. The information we collect is not used in any other way. If you choose to send a listing to a friend, you will be asked to provide the friend’s name and email address in order to personalize the email and to send the email. We do not store this information, and the information is used only to send the one-time referral email. Even if you do not send us any Personal Information, we collect information about how you use our site (“Non-Personal Information”). This information cannot be used to identify you personally and is explained in more detail below. Like many sites, we obtain Non-Personal Information such as IP (internet protocol) addresses, browser types, the name of your ISP (internet service provider), information about where a user comes from before arriving at our Site, what pages a user visits, the order of those pages, and the amount of time spent on each. A vendor performs his service for us by sending a cookie to gather this information, compile it, and report to us. We use Non-Personal Information to customize the content you see, improve our services, conduct research, and provide anonymous aggregated reporting for internal audits and third-parties. The Site contains links to third-party web sites, our preferred service providers, real estate industry organizations and other organizations. If you hold your mouse over a link, it will indicate whether clicking the link will send you off our Site. When you click on those links, you will go to a third-party site where you will be subject to that site’s privacy statement and we encourage you to read that policy statement. Please be aware that we are not responsible for the privacy practices of those other web sites and we expressly disclaim any liability for their actions, including actions relating to the use and disclosure of Personal Information by those third parties. We remind you to be aware of when you leave our Site and enter a third-party web site, including one of our agents, and again encourage you to read the privacy statement on any web site that collects your Personal Information. Our hosting service maintains its systems in accordance with reasonable industry standards to reasonably secure the information of its customers against unauthorized access, accidental or intentional manipulation and loss. However, no data transmission over the Internet can be guaranteed to be 100% secure and you use the Site at your own risk. If your Personal Information changes or if you no longer wish to use the Site, you may correct or update your Personal Information or unsubscribe from any industry updates you have requested by modifying or deleting your profile on the Site, writing to Elyse Berman PA, Best Connections Realty, Inc. 8177 Glades Rd, Boca Raton, FL 33434 or sending an email to [email protected].  If you have any questions or concerns about this Privacy Statement, please contact us by using the “Contact Us” feature or by postal mail at Elyse Berman PA, Best Connections Realty, Inc. 8177 Glades Rd, Boca Raton, FL 33434 or sending an email to [email protected].